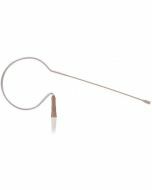 The ideal complement to Countryman Earset microphones, the Earclip provides comfortable, adjustable, extremely low-profile two-ear support. 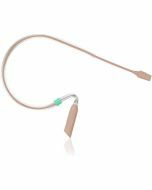 Built of the same lightweight, incredibly durable materials used in our earsets, the Earclip tolerates sweat, weather, and makeup, while virtually disappearing on stage. Much lighter than traditional headsets, it fits easily and holds securely without distracting performers.